Perhaps best known for its famous tapestry (which is actually not a tapestry but embroidery), the Norman city of Bayeux offers vacationers an incredible experience. 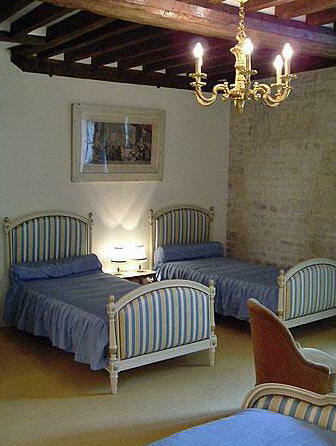 Best of all, they can stay in a marvelous bed and breakfast right in the center of town and all the while have the experience of being in a country château! 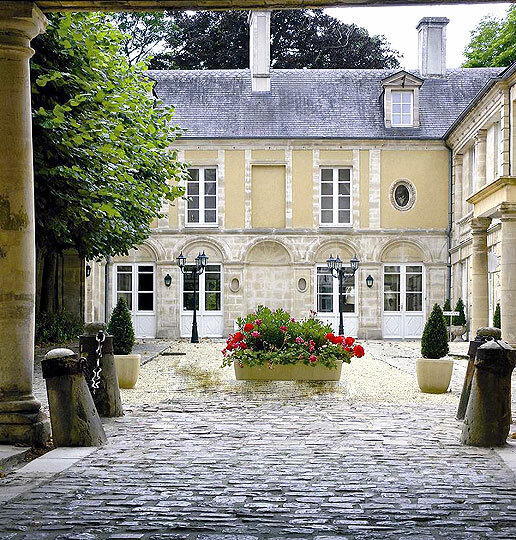 As guests arrive for the first time through the impressive gates, they are greeted by a fine courtyard entry and amazed by the elegance of the mansion before them. 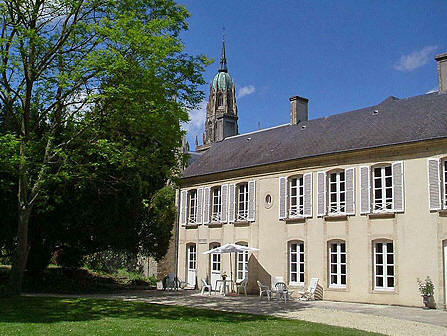 Hôtel Tardif is a beautifully maintained home with expansive grounds, lovely en suite guest rooms and charming hosts, conveniently located mid-way between the superb Cathedral of Notre Dame and the Bayeux Tapestry, each within easy walking distance of the mansion. Tardif was built in the middle of the 18th century to welcome a great botanist, Master Moisson de Vaux. He had previously left Versailles and his King to discover the new world and its natural wonders, but returned after a few years to settle at Tardif to study the plants he brought back with him from America. Some of the trees in the park are part of his legacy. 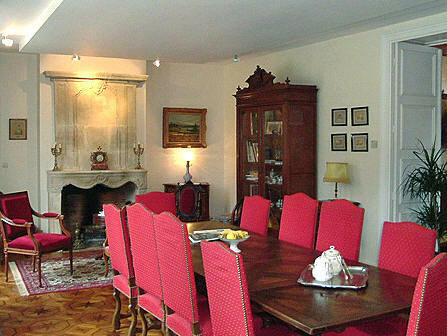 Today, the home is a family residence welcoming guests with promises of comfort, tranquility and authenticity. Enjoy a drink on the terrace, walk to the wonderful historic sights Bayeux offers visitors, or take day trips to the D-Day landing beaches, the Caen Memorial, Honfleur or Le Mont Saint-Michel. Guests will appreciate the seven exceptional guest rooms, all with en suite bathrooms, spacious and comfortable accommodations and fine views over the parkland. It will be hard to imagine when gazing from those windows that you are in the heart of a vibrant small city! The bathrooms all have showers, bathtubs, WCs and hairdryers, and each is as elegant as the room it adjoins. 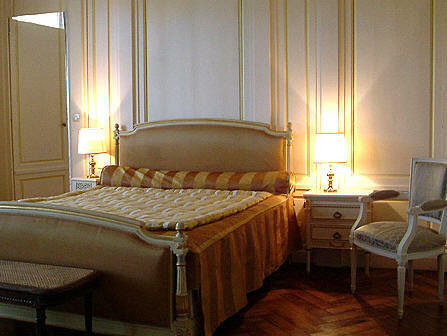 The guest rooms are flexible in that they can accommodate two, three or four people. Although dinner is not offered at Hôtel Tardif, a copious breakfast is served in the stunning Rouge Dining Room each morning. For evening meals, there are at least thirty restaurants from which to choose in Bayeux, some only a few steps away from Tardif. We know a visit to this historic city will be made all the more delightful with several nights spent at this magnificent residence. Check-in time between 2PM and 6PM. Check-out before 11AM. No dogs. No food in guest rooms. 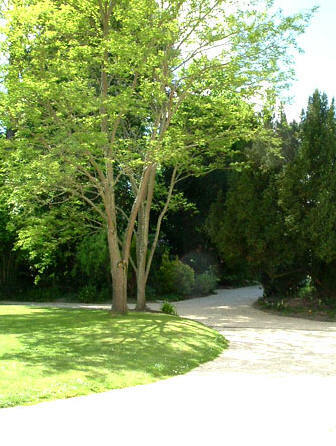 On the grounds: Fine gardens, sunlit terrace.